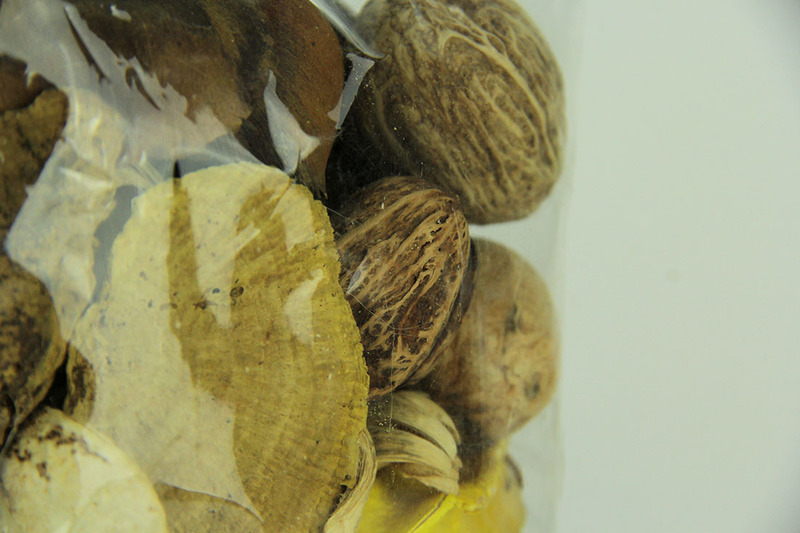 This 2 bag lot of natural brown, saffron yellow and green dried botanical filler is perfect for accenting most any decor. Each bag is filled with leaves, flowers, seed pods and wood shavings, all with earthy, natural colors and no artificial dyes. Add them to an apothecary jar, large clear glass vase or your favorite bowl, and you have an instant centerpiece or table accent. Each bag contains approximately 6 ounces, or over 100 cubic inches of filler.